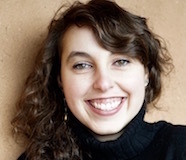 As Lindsay Tarnoff prepared to graduate from Skidmore College, she was faced with the unavoidable question of what she was going to do after college, unsure what to answer she started saying she was going to save the world with chocolate. 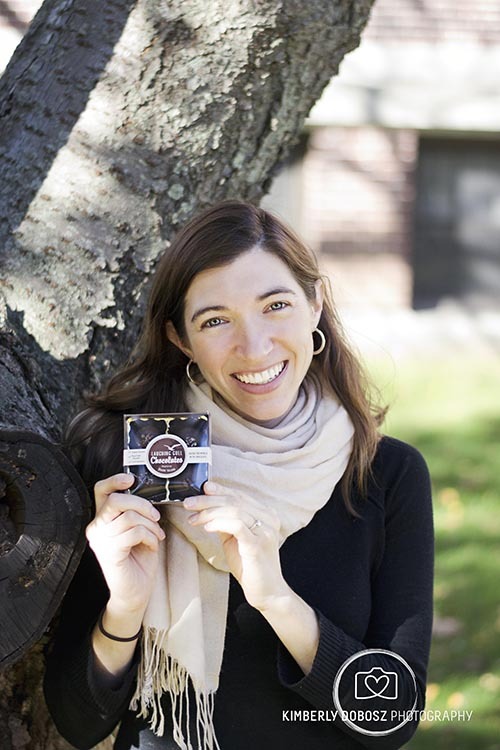 Nine years later Tarnoff’s dream became a reality when she founded Laughing Gull Chocolates in Providence, RI. Although Laughing Gull Chocolates as it now exists is still young, the impetus for the venture had long been growing in the back of Tarnoff’s mind. A Government and Spanish Studies major with a minor in Latin American studies, Tarnoff wrote her capstone project on the history of the morality of chocolate. Tarnoff also spent time in Mexico, where she studied and witnessed first hand the effects of the North American Free Trade Agreement (NAFTA). Tarnoff was impacted by the stories of the families she spoke to and their experience with NAFTA, “I talked to families whose daughters had disappeared; who, in a roundabout way, had been the victims of drug wars and violence and that was an indirect result of free trade.” Tarnoff’s return to the United States coincided with the rise in the fair-trade coffee movement, and her experience in Mexico, combined with the success of fair-trade coffee at home, set her to wondering about the potential for other fair-trade products. The concept of Laughing Gull Chocolate began with fair-trade chocolate, but today Tarnoff has gone one step further by using direct-trade chocolate. Tarnoff explains that while “fair trade gives the farmers a fair living wage, direct trade cuts out the middle-men so that one company has a direct relationship with the farm. They say not only do you need to pay a fair living wage, but they also endorse sustainable agriculture practices and can list out certain additional demands.” Tarnoff herself doesn’t speak to the farmers, but the company she buys her chocolate from — Taza Chocolate — does. Tarnoff’s goal is to establish a personal relationship with the chocolate farmers in the Dominican Republic, Belize, Haiti, Bolivia and Guatemala who help make Laughing Gull Chocolate a reality.